We are about halfway through the third quarter. Interim reports show progress, but they are not the final grade for the quarter. Additionally, interim reports give a single snapshot of a student’s progress in a class. Utilizing ParentVUE and StudentVUE can give a parent and student more information concerning progress. Jamestown offers many different choices (or roads if you will) toward post-secondary life. 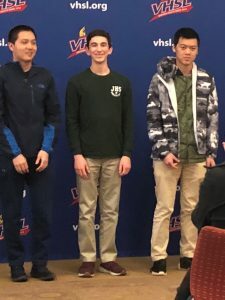 Between technical education, advanced placement courses, Governor’s School, and different diploma types, deciding which road to take can be a challenge. Viewing grade information, feedback from students, information from the WJCC Program of Studies can give families a idea for classes next year. 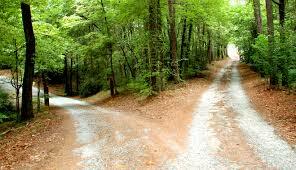 The course selection period can be a confusing time for parents and students. Student course selections create the master schedule that is the basis of our staffing allotment and other resources. 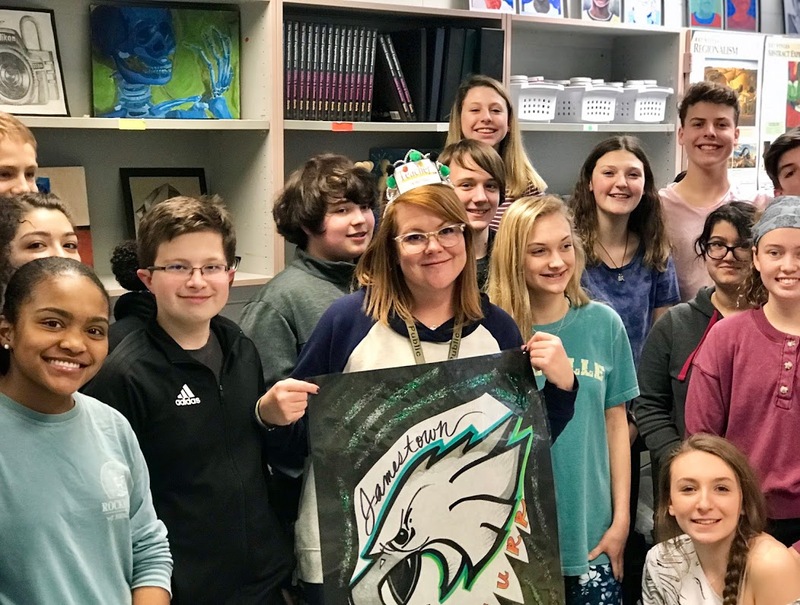 While we can make some changes next fall to accommodate the “add/drop” period, creating new classes and sections with certified teachers presents challenges. Take some time to review goals and post-secondary opportunities. These ideas will help focus your options. 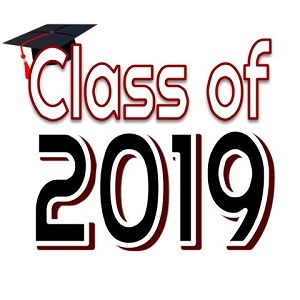 School counselors will be meeting with rising seniors for individual course planning for the 2019-2020 school year. In these meetings, we will review credits for graduation, SOLs and post-graduation planning. If you would like to join your student for this meeting, please email or call your student’s counselor by February 28th. These meetings will be scheduled through the end of March, but we ask you call or email to schedule your March meeting prior to February 28th. 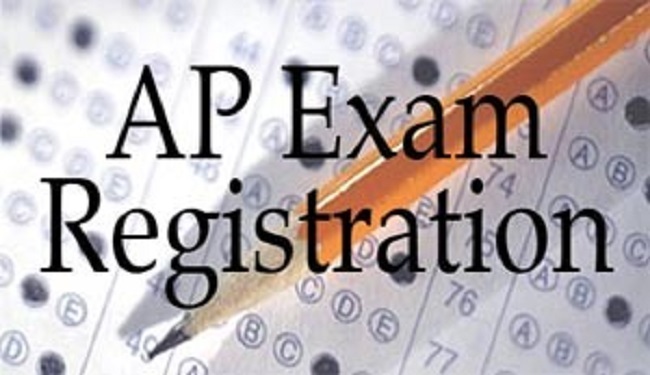 The cost for each AP exam is $98.00 and a reduced-fee is available for students who qualify (free/reduced lunch). 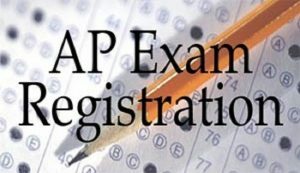 Students taking AP exams at Jamestown High School MUST register for exams at the website above by March 27th, 2019. To avoid a late fee, all students should register for AP exams during the normal registration window (February 18-March 19, 2019). Registrations that have not been paid for by March 27, 2019 will be cancelled and exams will NOT be ordered. 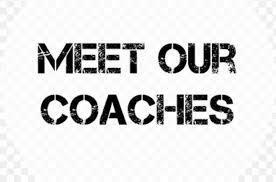 The Spring Meet the Coaches Night will be on February 25th at 6:00 pm in the JHS Cafeteria. At the meeting, the coaches will review practice and game schedules, and team expectations. Additionally, Coach Edwards, JHS athletic director, will present information regarding JHS athletics policies. Jamestown High School Athletics will host the Guide to the College-Bound Student-Athlete recruiting seminar on Thursday, February 28th at 7:30 pm in the JHS Auditorium. The event is provided by Dynamite Sports and is free for parents and students. SCHOLASTIC BOWL WINS BACK-TO-BACK STATE CHAMPIONSHIPS! 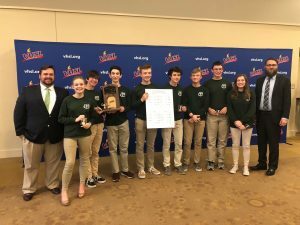 The Jamestown High School Scholastic Bowl team defended its state championship against the team from Blacksburg High School. The team set the tone with two earlier convincing wins over other Class 4A teams. 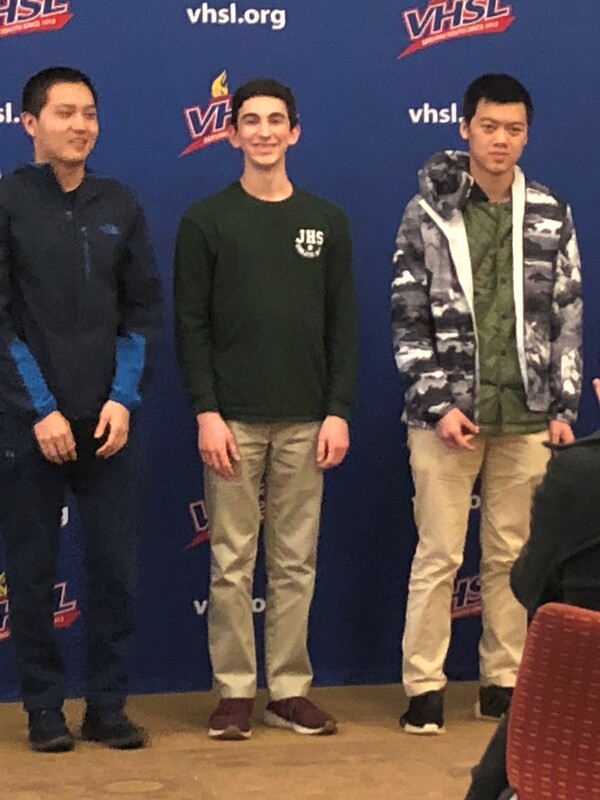 David Bass was able to achieve a three year goal by being name to the state scholastic bowl team for being one of the top FIVE scorers out of the 24 total teams! We will have a presentation regarding mental wellness and stress management by Dr. Christian Dunn and Kimberly Harlow, PLC.